Get Pre-Settlement Funding On Nursing Home Lawsuit Settlements Today! It is often impractical and irresponsible to try and provide specialized care for our loved ones at home, especially when they have medical issues which require a degree of knowledge and level of medical training in order to properly assist. When the elderly can no longer take care of themselves their loved ones turn to nursing homes for help. While nursing homes often boast comfortable and loving care, there are nearly one million cases each year of nursing home neglect and abuse. That is why Verum Funding specializes in nursing home lawsuit settlements, Nursing home lawsuits cases take very long to litigate. The long duration of the litigation process often leads to families becoming financially distressed. Lawsuit funding allows plaintiffs to get cash before their lawsuit is settled. If you or a loved one has been injured in a nursing home, lawsuit funding can help your financial situation. When you are cash strapped during litigation, lawsuit funding is there to carry you and your family until your award is presented. Abuse in nursing homes can take many different forms. Abuse can range anywhere from physical, sexual, and even psychological abuse by nursing home employees. This can result in serious and long-term physical and mental to elderly victims. This is especially true considering the older age of the victims that reside in these homes. 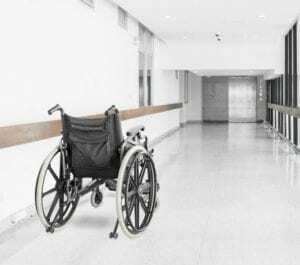 If you or someone you know is in the middle of nursing home litigation, Verum is here to help until your attorney settles or resolves your case. If you or a loved one has suffered injuries due to nursing home staff, Verum can assist you in obtaining lawsuit funding within 24 hours. We provide support on a range of cases, including abuse that might have led to wrongful death and other types of personal injury. Applying is risk-free and costs nothing. Don’t wait for your case to settle to get paid, get your cash now with lawsuit funding. Call 434-535-5229 for free consultation today! Verum Funding where we help people get the advance funding on their Nursing Home Lawsuit Settlements.